The Stampotique Designer Challenge is SDC52: Oodles of Doodles. This is really so way, way, way out of my comfort zone, I love stamps because I can't draw at all. 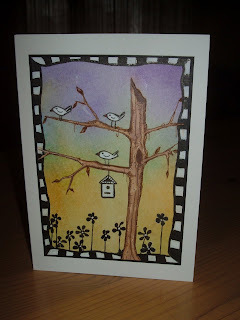 So this was very simple, some Ranger colour wash for the background, I stamped the tree on paper and coloured with Copics, stamped the little flowers then doodled the birds, border, little bird house and a couple of extra flowers. I don't think I love this card, but at least I tried hehehe. Heel mooi, Corina! Leuk dat je meedoet aan de Stampotique challenge. This is a fab card. I don't draw either, but what you've done here is lovely. Thanks for joining us at Stampotique. Corina, your doodling is fabulous! 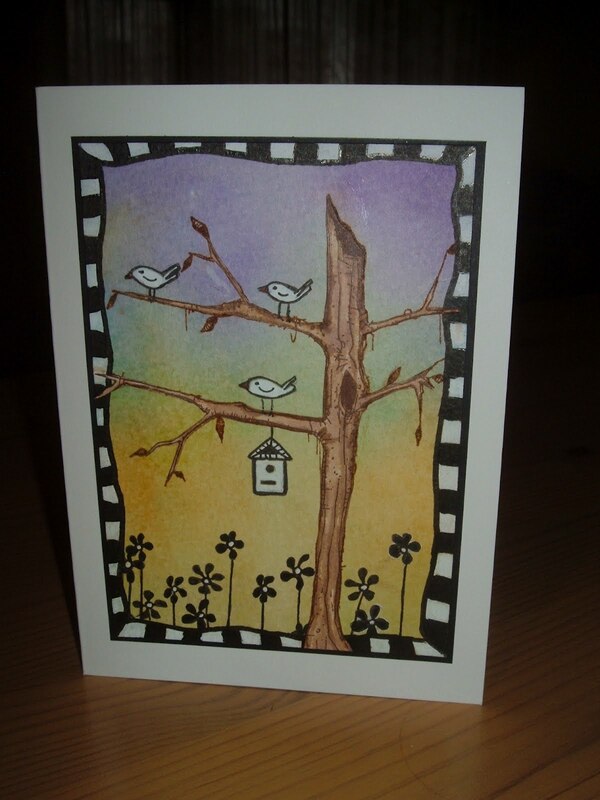 I love that you drew the birds and the birdhouse - they look great with your wonderful doodle border! You rocked the Stampotique Designer's Challenge! Thanks so much for joining us! mooie kaart, prachtige rand heb je gemaakt. Fabulous card. I love the little birdies. Thanks for joining Stampotique Designers Challenge.